Sad news reached my desk just as the last Secret Engineer Blog was sent. During a test flight Virgin Galactic’s “Spaceship 2” had crashed killing Michael Alsbury and seriously injuring Peter Siebold. They join a long list of pioneers who have suffered similar fates in attempting to push through perceived limitations, to draw back the veil of mystery and see what is on the other side. If you think I am giving in to my romantic side then you are right. This is a matter of romance, of adventure, not so much a case of “daring to dream” as “having the will to forge that dream into reality.” The point of it all is to try to achieve what conventional wisdom says is impossible. 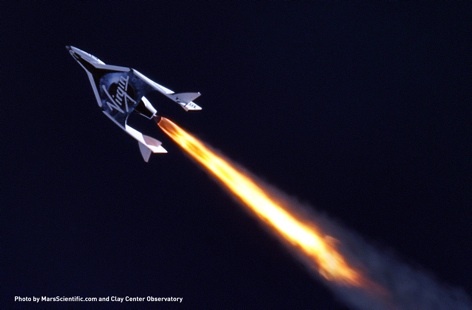 Further, higher, faster; whether it is an absolute goal like the land speed record or a game changing application like Concorde, or indeed Virgin Galactic, this will always come with risk. For some people the draw is facing that risk but any engineer involved in these programmes has a duty to minimise it. This of course doesn’t make the achievements any less remarkable, there can be no erosion of the heroism through the application of due diligence. Of course Alsbury and Siebold, as well as all those others who have gone before, have friends and family. They are real people and this cannot be forgotten – there is grief whilst we lionise them. However these emotions must not be used as an excuse to accept failure, instead those involved must understand exactly what went wrong and why. They must improve the areas found wanting, reduce the risk yet further and move on from their lost and injured friends. This is both the cost of, and the path to advancement. I know there are those who cannot see the point or validity of continuing these endeavours into the 21st century. Whilst it is true that we face new challenges we cannot afford to lose our drive to reach for the exceptional. Engineering isn’t like accountancy or being a doctor and although I’m sure these professions have their enthusiastic adherents they aren’t for us. The wonders of the application of physics, the thrill of not only knowing how something works but how to change it and make it do exactly what we want, to make it work better. Surely this is what makes our hearts beat faster? This is the crux of why we are engineers. If we lose this passion for improvement and refinement “just because we can” then we have no right to be members of this profession. Not everyone in engineering will be involved with this sort of conspicuous project, but a lot will have been inspired by them. If we want the next generation to follow us then it is our duty not to shy away from supporting the pathfinders. The potential rewards are glorious but are always paid for through the acceptance of sacrifice. A Faustian investment in the future.